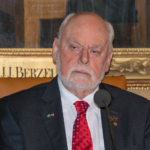 Sir Fraser Stoddart shared the 2016 Nobel Prize in Chemistry “for the design and synthesis of molecular machines.” Born in Scotland, he has lived in the United States since taking a professorship at UCLA in 1997. 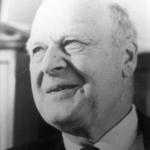 Lars Onsager won the 1968 Nobel Prize in Chemistry “for the discovery of the reciprocal relations bearing his name, which are fundamental for the thermodynamics of irreversible processes.” He was born in Norway and emigrated to the U.S. in 1928 to join the faculty of Johns Hopkins. He later taught at Brown and Yale. 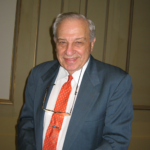 Herbert C. Brown shared the 1979 Nobel Prize in Chemistry with Georg Wittig “for their development of the use of boron- and phosphorus-containing compounds, respectively, into important reagents in organic synthesis.” He was born in London to Ukrainian Jewish immigrant parents. The family moved to Chicago when Brown was two years old. Henry Taube won the 1983 Nobel Prize in Chemistry “for his work on the mechanisms of electron transfer reactions, especially in metal complexes.” Born in Saskatchewan, Canada, he came to the United States to earn his Ph.D. at Berkeley. 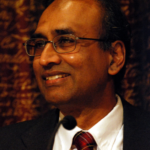 He went on to work at Cornell, the University of Chicago and Stanford. Charles J. Pedersen shared the 1987 Nobel Prize in Chemistry with Donald Cram and Jean-Marie Lehn “for their development and use of molecules with structure-specific interactions of high selectivity.” Pedersen was born in Busan, Korea in 1904 to a Norwegian father and a Japanese mother. In 1922 he came to the United States to study at the University of Dayton, Ohio. 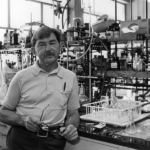 He worked as a chemist at Dupont for 42 years. 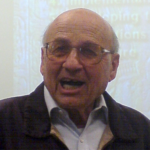 Walter Kohn won the 1998 Nobel Prize in Chemistry “for his development of the density-functional theory.” He was born in Vienna, Austria and escaped from Nazi rule as part of the Kindertransport rescue operation. He spent time as a refugee in England and Canada. He earned his Ph.D. in physics at Harvard in 1948. 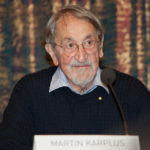 Martin Karplus shared the 2013 Nobel Prize in Chemistry with Michael Levitt and Arieh Warshel “for the development of multiscale models for complex chemical systems.” He was born in Vienna, Austria and educated at Harvard and at Caltech, where he completed his Ph.D. under Linus Pauling. 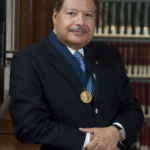 Rudolph A. Marcus won the 1992 Nobel Prize in Chemistry “for his contributions to the theory of electron transfer reactions in chemical systems.” He was born in Montreal, Quebec and became a U.S. citizen in 1958. 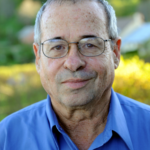 Arieh Warshel shared the 2013 Nobel Prize in Chemistry “for the development of multiscale models for complex chemical systems.” He was born in British Palestine (now Israel) and initially came to the U.S. to do postdoctoral work at Harvard. 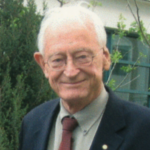 Alan MacDiarmid shared the 2000 Nobel Prize in Chemistry “for the discovery and development of conductive polymers.” Born in New Zealand, he came to the U.S. on a Fulbright Fellowship in 1951 and spent 45 years on the chemistry faculty of the University of Pennsylvania. 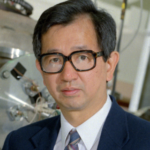 Yuan T. Lee shared the 1986 Nobel Prize in Chemistry with Dudley Herschbach and John Polanyi “for their contributions concerning the dynamics of chemical elementary processes.” Born in Taiwan, he earned his Ph.D. at U.C. Berkeley in 1965. 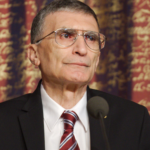 Aziz Sancar shared the 2015 Nobel Prize in Chemistry “for mechanistic studies of DNA repair.” He was born in Turkey and received his Ph.D. at the University of Texas at Dallas. 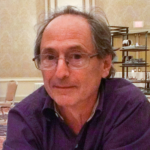 Michael Levitt shared the 2013 Nobel Prize in Chemistry “for the development of multiscale models for complex chemical systems.” Born in Pretoria, South Africa, he lived in Israel before moving to the U.S. to teach at Stanford. 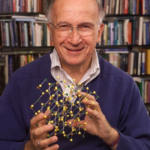 Roald Hoffmann shared the 1981 Nobel Prize in Chemistry with Kenichi Fukui “for their theories, developed independently, concerning the course of chemical reactions.” Born in an area of Poland that is now part of Ukraine, Hoffman lost most of his family in the Holocaust. 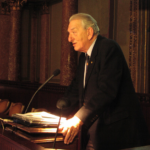 He emigrated to the U.S. in 1949. If you were expecting a textbook or academic study website, you may be looking for a different company with the same name: Boundless (a former textbook distributor). You have landed on Boundless Immigration, a technology company that empowers families to navigate the immigration system more confidently, rapidly, and affordably with the help of its award-winning software and network of independent immigration lawyers.